In the first part of this series, I explained how the use of digital badges in District Online Professional Development has taken off. In this article, I explain how I set up our Badge Leader-board. 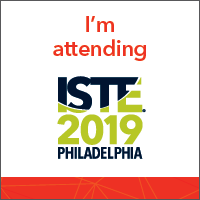 In our district, I have had a great response to professional development, and I wouldn’t necessarily guess it is because of the badges themselves – although many people like to have that tangible (digital) item to show they have completed something. No, I believe what has created such a surge in online PD is the leader-board! Some people in general are naturally competitive – they see that others are involved, and they want to be at the same level – or greater – in terms of training and understanding. 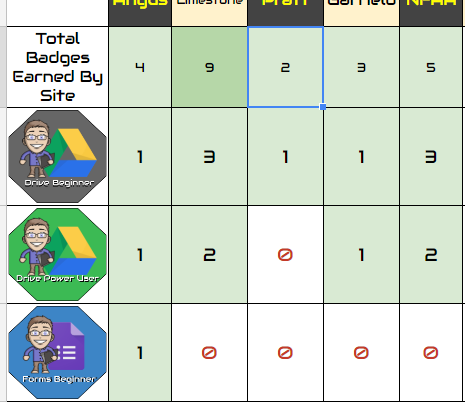 As a result, I created our leader-board to show how many and what type of badges have been earned by each building/school site. Each week, I send a reminder of which school is in the lead. I created our leader-board using Google Sheets, and then posted (embedded) my Google Sheet on the Google Site we use for Professional Development. This allows those who have completed /earned a badge to show off their name, and allows everyone to see who is in the lead. This video explains how I set up our Google Sheet/Leader-board. Enjoy!